It is once again time to tell you what we’re up to! Two weeks have past and we’ve gotten a lot of stuff done! Our main objective these two weeks have been to reach a point where we can once again test the game to see how it runs. 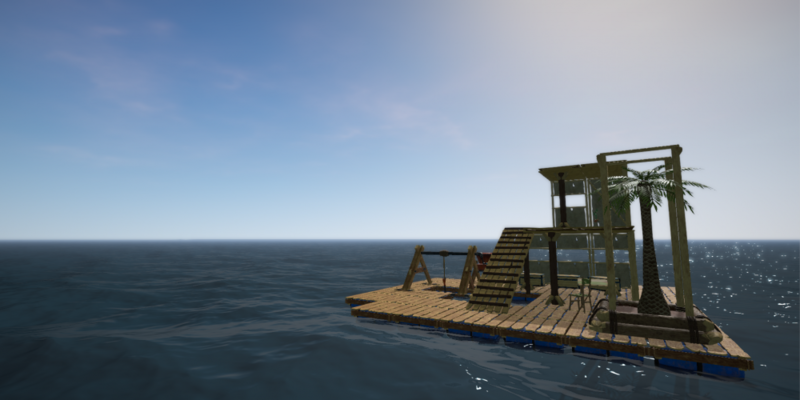 So our programmer has been hard at work to make sure the new systems like buoyancy, underwater swimming and reefs all function correctly together with the rest of the game. The artists have been crafting all the assets that come with the new features, such as models, textures, icons and more. When these all came into place we were able to have a little play test in order to assess how the new features feel and find what needs to be improved. Lets show some of the new things that have been added since the last blog! As you know by now, you’ll want to dive down into the reefs in order to gather supplies. But you don’t want your raft to float away while you’re down there! So you’ll need to build an anchor. The first and most basic anchor you’ll be able to build is quite primitive. A bucket with some rocks and wood. The downside to this anchor is it’s one time use only, so you’ll want to make sure you throw it at a good place. You’ll see it in action down below! Once you’ve accumulated more wealth so to speak, you can build a sturdier anchor which will let you anchor as many times as you want. It also adds to the awesomeness of your raft. The reefs are deep and some materials are only found on deeper waters, but getting there can be tricky. In order to reach these depths, you’ll need something to help you swim faster and hold your breath longer. Luckily, you’re quite crafty. Some vines, plastic and thatch can with some tinkering be turned into flippers and an air bottle. Some of the resources you find on the reefs aren’t very useful as they are. Sand and metal need to be melted in order use them for crafting. For this you’ll need a smelter. A smelter needs to be able to handle very high temperatures, so metal won’t cut it. 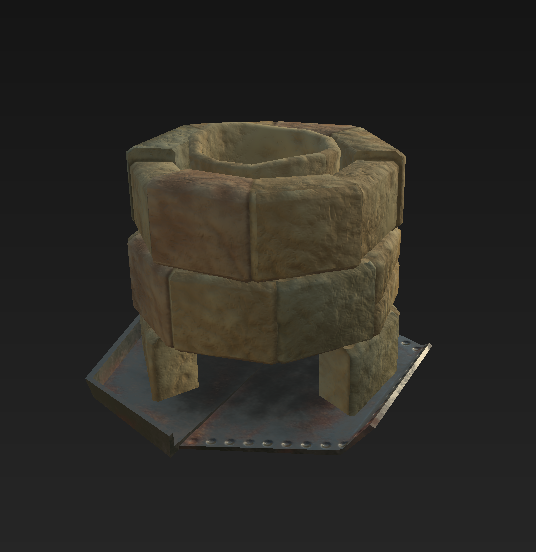 By making bricks out of clay that you’ll find on the reefs you can build a proper furnace. Apart from this we’ve started to work on updating the building system and adding more items to help you on your surviving adventure! Please let us hear what you think of the new features! Until next time! The new features look amazing! Is it possible to know when the game will be updated? I’m curious about your team, can you tell more about you guys?